The Pechersk court released the politician without bail. The Appeal Court of Kyiv on 3 January started hearings into the complaint of the Prosecutor-General's Office against the decision of the city's Pechersk District Court, which has refused to arrest Mikheil Saakashvili, an LB.ua correspondent reports. The case is heard by a panel of judges led by Oleh Prisyazhnyuk. Saakashvili is suspected of assistance to members of a criminal organization and concealment of their criminal activities. He has allegedly received 500 thousand dollars from the runaway oligarch Serhiy Kurchenko close to the former Ukrainian president. The Pechersk court ordered to release Saakashvili without arrest or bail. 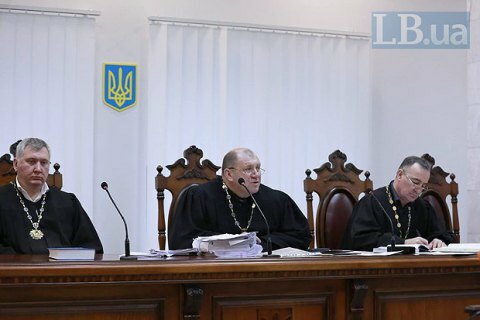 UPDATE The court postponed the eharings until January, in particular, because seven PMs who had stated preparedness to bail out Saakashvili, failed to show up in court.